Much has been been made about how Apple has been making your old iPhones slower in order to save your battery life. With lawsuits flying left,right and center, Apple is finally coming out to address the issue with what could be considered as a non-apology apology reminiscent of the antennagate "you're holding it wrong" statement. While they deny intentionally degrading the experience on older iPhones. And blames it on the batteries not performing optimally as they age over time. While this seems like it makes sense to blame the battery but Apple was a bit too smart in how they handled this battery degradation. Letting the devices shut down would probably make the user take their iPhone to the Apple Store to get it checked out which would more likely result in a battery replacement. 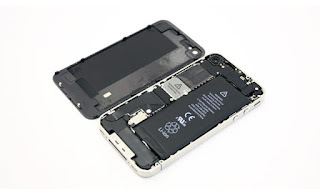 While slowing it down and while keeping the battery life the same is more than likely result in the user thinking that their device was dated especially when compared to newer devices and is more likely to result in them buying a new iPhone. A critical look at this makes it seem like the honchos at Apple looked at these scenarios above and realized that $799 new iPhone would help their bottom line a lot more than a $79 battery replacement. Going forward Apple promises to make it easier for its users to tell if their battery has aged significantly courtesy an update coming in early 2018, and also it has reduced to cost of replacement batteries from $79 to $29 for users with iPhone 6 or newer. You can check out the rest of the Apple presser below. Preventing unexpected shutdowns About a year ago in iOS 10.2.1, we delivered a software update that improves power management during peak workloads to avoid unexpected shutdowns on iPhone 6, iPhone 6 Plus, iPhone 6s, iPhone 6s Plus, and iPhone SE. With the update, iOS dynamically manages the maximum performance of some system components when needed to prevent a shutdown. While these changes may go unnoticed, in some cases users may experience longer launch times for apps and other reductions in performance. As always, our team is working on ways to make the user experience even better, including improving how we manage performance and avoid unexpected shutdowns as batteries age. At Apple, our customers’ trust means everything to us. We will never stop working to earn and maintain it. We are able to do the work we love only because of your faith and support — and we will never forget that or take it for granted.